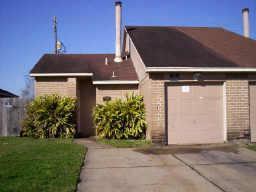 Lion Real Estate Team has a new property for rent at 16410 Monte Carlo Lane Houston, TX 77053 . The property will be managed by Ashoka Lion. If you are looking to rent a property in Houston. then you should definitely check this Lion Real Estate Group house available for rent. Our Team noted: Nice duplex is back on the market. Close to schools and shopping centers. Ceramic tile throughout and ceiling fans in each room, a fireplace for the holidays. Come see this lovely home and get moved in just in time for summer! If this home is not for you, then our buyer agents can assist tenants seeking a new place to rent by searching for a suitable property and assist in getting all the documents processed. To see more details about this home for rent, visit our rental listing detail . Note: Ashoka Lion Rental Property Management has been serving the Houston and Dallas markets since 2006. If you are looking to apply to this property, then visit Ashoka Lion’s prospective tenant page for more info. Ashoka Lion and The Lion Real Estate Group look forward to helping you find a home to rent for in San Antonio/Houston/Dallas area.